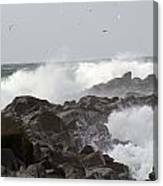 Rough Sea At Ocean Shores by Alan Hepworth Photography - 8.000" x 5.375"
Rough Sea At Ocean Shores art print by Alan Hepworth Photography. Our prints are produced on acid-free papers using archival inks to guarantee that they last a lifetime without fading or loss of color. All art prints include a 1" white border around the image to allow for future framing and matting, if desired. 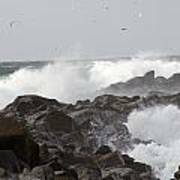 There are no comments for Rough Sea At Ocean Shores. Click here to post the first comment. 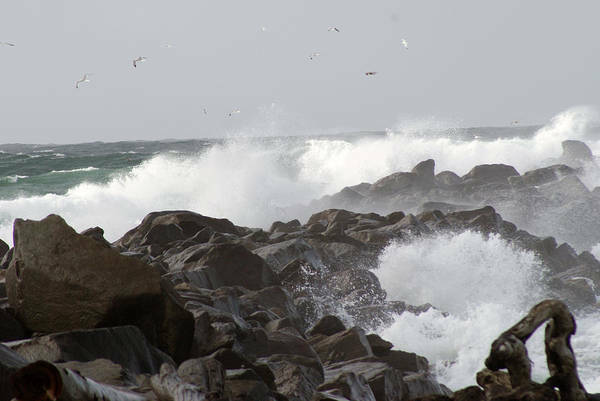 Waves hitting the jetty at Ocean Shores, Washington State, in the United States of America. Born in Yorkshire, England in 1953 I moved to the USA in 2005 and now live in the beautiful city of Ocean Shores on the Pacific coast of Washington State. I first developed in interest in photography in 1974. 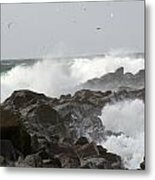 As well as being a hobby I have experience in several different types of photography as a professional photographer. I have taken photographs in many parts of the world including Germany, England, Scotland, Northern Ireland and of course the United States of America. Alan Hepworth. PO Box 791 Hoquiam WA 98550-0791 United States of America.